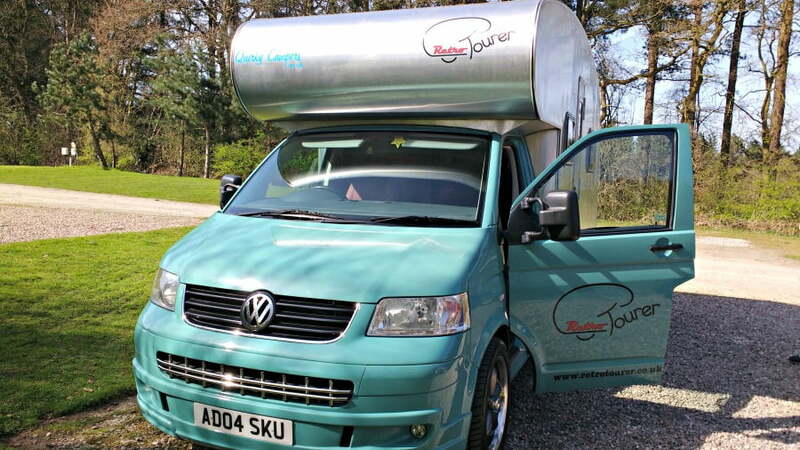 This weekend, we had the pleasure of spending time with Sir James, a campervan which had been kindly lent to us by Quirky Campers for a mini adventure. Sir James is a cool dude: a real looker, with an aluminium body and a daring red interior. He is a real head turner, but don’t let his looks deceive you – this chap is warm and cozy on the inside too. 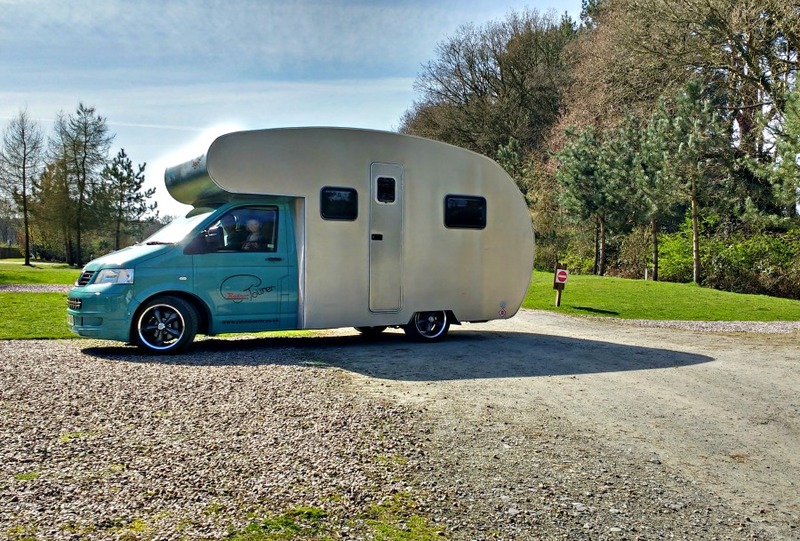 We took Sir James out on a roadtrip to the Delamere Forest in Cheshire, to see how he would fare with a family of newbie campervanners with 2 young children. Here’s how we got on. 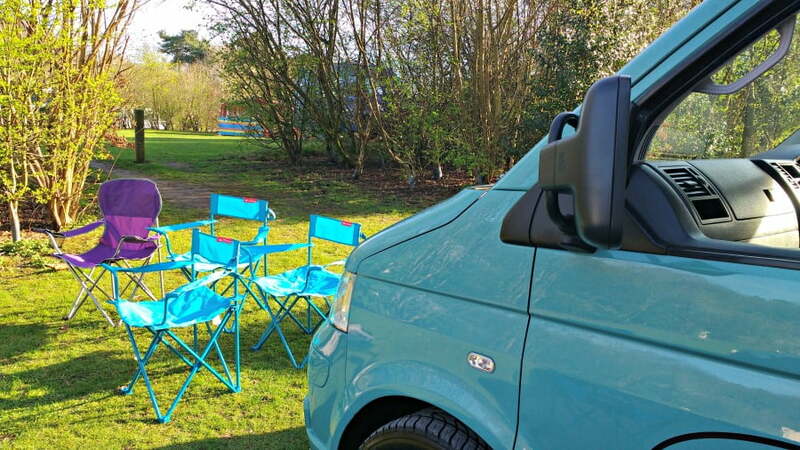 Sleeps 4 in 1 double bed, 1 single bed and 1 small / toddler sized bed on the front seat. Bags of storage cupboards and other ingenuous ways to store your stuff. Cool lights which can be dimmed when the kids have gone to bed. 4 belted seats in and behind the cab. Even enduring 2 miserable hours on the M62 on a Friday tea time whilst driving over to pick him up, didn’t dispel the sense of adventure we felt as we hopped in for our weekend adventure. Being able to throw all our stuff into the back of the campervan, and drive off into the sunset (well, another traffic jam) was super exciting. 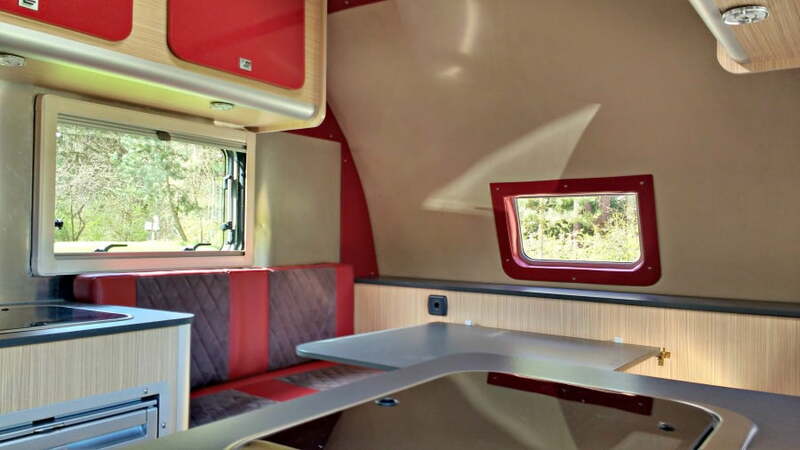 It really was like having a home on wheels complete with all our creature comforts (and kid’s toys). Sir James is small but perfectly formed, and everywhere you look, there is another nook or crannie where you can put things. There is a long cupboard where you can hang clothes up, a food cupboard and lots of shelves where you can put the kid’s books and toys. The dining room table converts to a double bed for the adults, but the kids were really spoilt when it came to sleeping in Sir James. My eldest son had a full size bed above the driver’s cab which was really spacious. He loved climbing up and making his own little den with all his toys and teddies. There were a few tears when my youngest son realised he wasn’t sleeping up there either. But actually, he got a pretty good deal too. The passenger seat in the cab swivels round and joins another chair and makes a little bed. This isn’t as large as a normal single bed, but is plenty big enough for small children. We didn’t have to rough it in Sir James. There was hot and cold running water, heating, a fridge and freezer and a toilet and shower too. Towels and extras like dishcloths and tea towels were included. 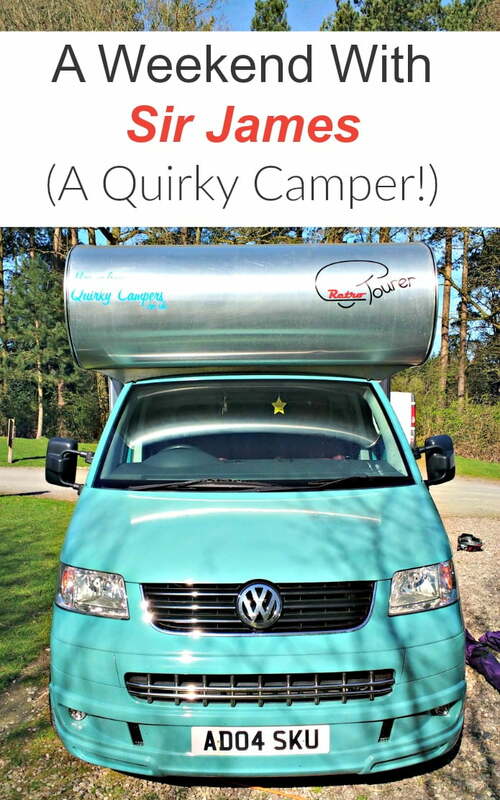 Campervanning is a very chilled, laid back way of life which focuses on enjoying the simpler things in life. We woke up when we heard the birds singing, sat outside watching the boys playing on their bikes, and only really went inside when it got dark. Meals could be taken when we wanted, and could be something simple like fresh bread, ham and cheese with a glass of wine for us. We got bucketfuls of lovely fresh air, blew away the cobwebs and felt a million times better as a result. 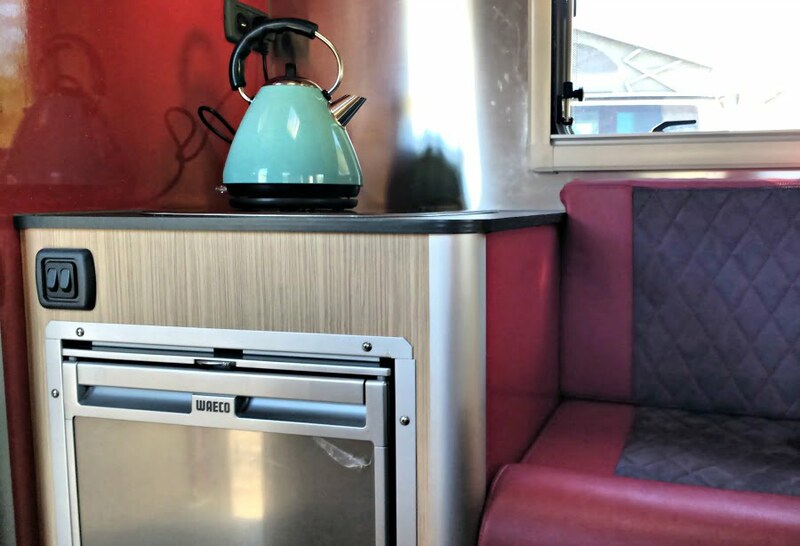 Even a BBQ, camping chairs as well as practical things like the insurance was included with Sir James – so all we had to do was decide where to go. There isn’t room for things like a travel cot in Sir James, so I would say it is more suited towards older toddlers. 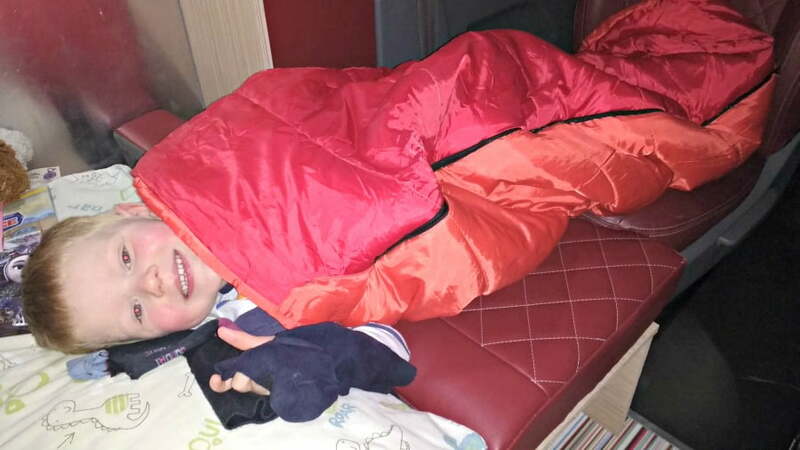 I bought sleeping bags for my boys to sleep in, which they loved, but younger toddlers may struggle with this – just something to be aware of. 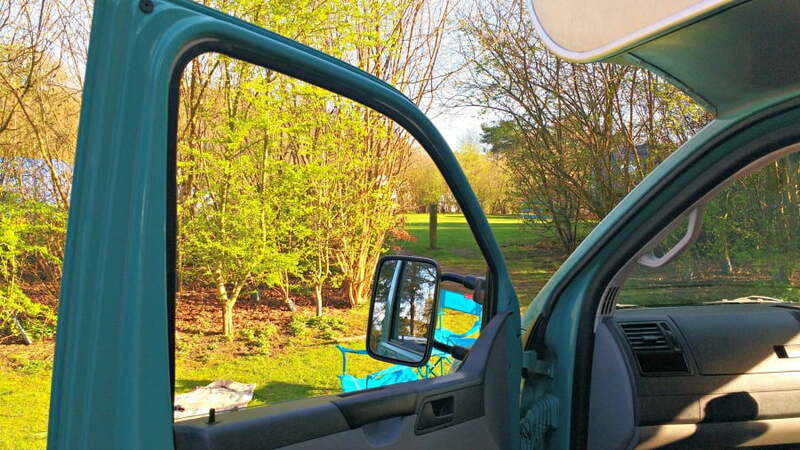 We stayed in the Delamere Forest Camping and Caravanning Site. It was great – top notch toilet and washroom facilities and even a Family Bathroom. Everything was spotlessly clean, and best of all, it was right next to the Delamere Forest so there was loads of opportunities for biking, den building and doing the Gruffalo Trail. I would definitely recommend that you do your research beforehand and choose a site which is family friendly and has good reviews. My boys like to have their tea bang on 5pm, so they were ravenous by the time we arrived at our campsite. We ended up getting a takeaway, but actually Sir James had everything we’d have needed to whip up quick pasta or something similar. Bring some milk and the ingredients for your first breakfast too just in case the shop isn’t open when you get up. Don’t forget to bring your car seats to put in the drivers cab, bikes and some sausages etc for the bbq. 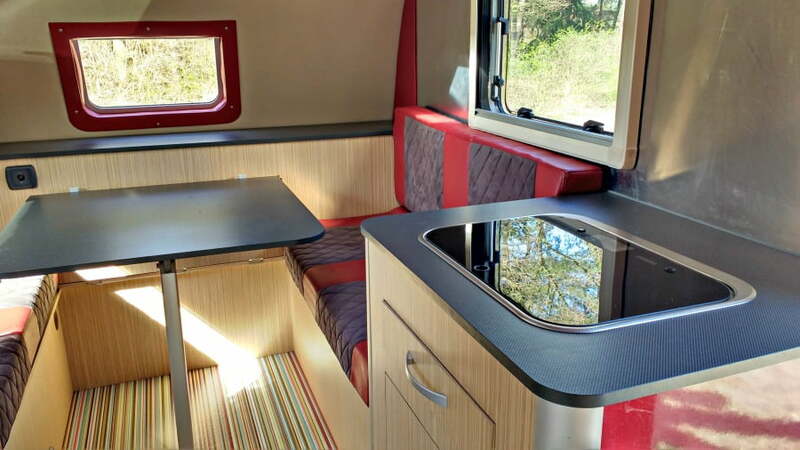 There is plenty of storage space in Sir James, but equally, campervanning is about enjoying the simpler things in life – and that involves getting a bit dirty. We wore all our clothes a few times so I didn’t need to take loads of spare changes. If there was a disaster, I could have used the onsite laundry too. We took Sir James to a forest, but equally, I think he would be great to take to a family friendly festival. He is certainly more luxurious than camping, and is such a cool dude that he would certainly fit into a festival vibe. Want To Learn More About Sir James? To find out more about Sir James, including prices and availability click here. 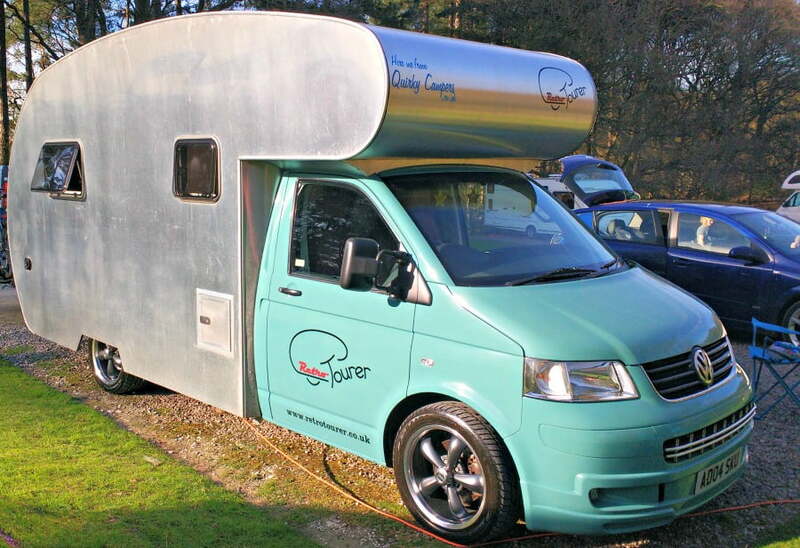 Sir James lives in the North West, but Quirky Campers has lots of campers available to hire across the UK. What an adorable little camper! I love the bright red inside it!